This game is definitely inspired by Impossible Game, so you will be like prof starting the game, but after some levels you will find the difficulties. In case you need something different but very alike, then this game is just for you. 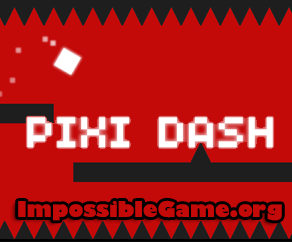 As in IG you need to have quick reflexes in Pixi Dash as well. Good luck and have fun! Note: game works better in firefox then in chrome.